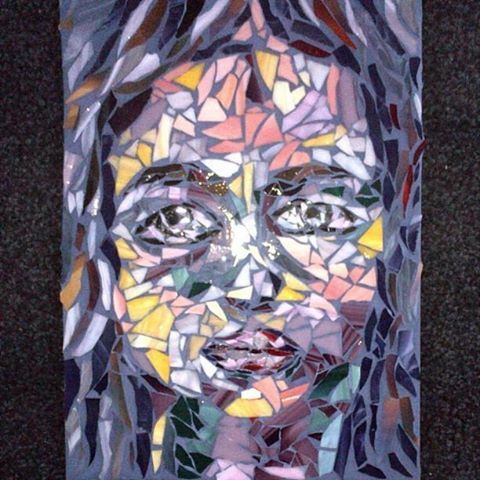 Featured today on SFgate.com Mosaic Face – Grout, Glass, Glue, Wood. ← To Grout or not to grout? Seriously so amazing the face is so realistic and expressive and done with tile is just incredible. Do you do customs? Whit, thanks for the kind words. I do customs and would love to talk to you about what you might have in mind. Please email me at carriebonnet@gmail.com and we can discuss.